I must say, I did judge the book by its cover with this one – I was enchanted by the décor at RPS, so we stopped in for a very late lunch-snack, grabbing a seat at the bar before the kitchen closed. 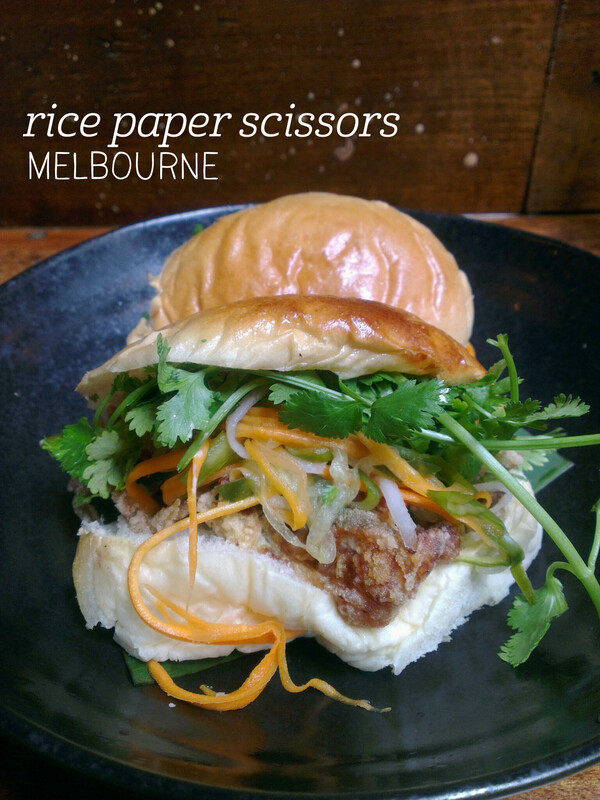 The menu is an exciting exploration of South East Asia, and I couldn’t go past the temptation of soft shell crab mini banh mi ($13 for 2), plus a house made lemon iced tea ($4.50). Served in a fashionable jar, the iced tea had both lemon and lemongrass, but both were well balanced and not overpowering. 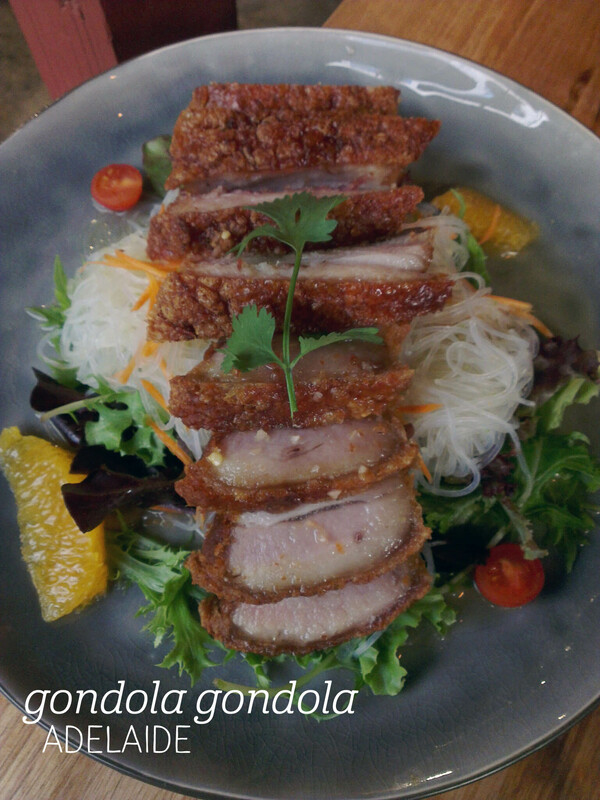 The staff here are friendly and chatty, creating a welcoming atmosphere that we enjoyed. The food came out fairly quickly, and it definitely confirmed our order choice. 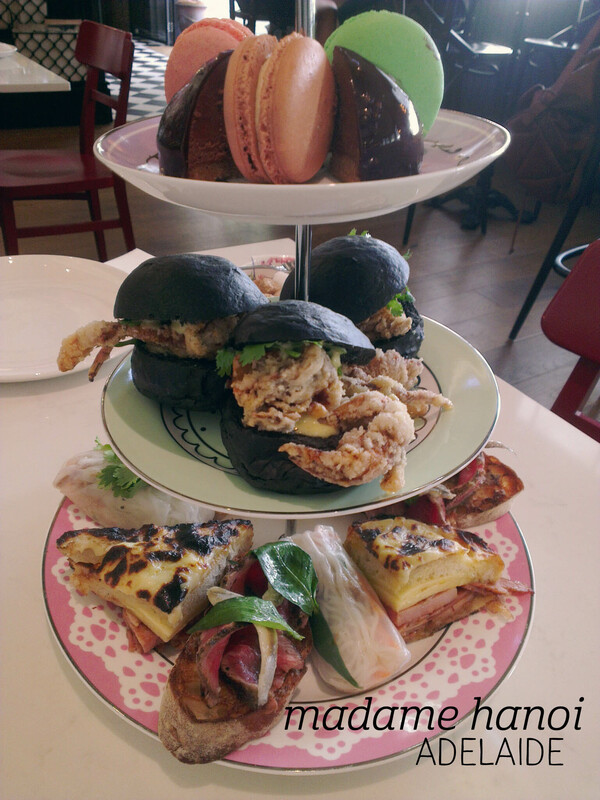 Served on soft brioche buns, the banh mi were utterly delightful – the generous portion of crab was just the right blend of crisp and soft, bringing great flavour and texture to the dish. The house made pate added a creaminess to each mouthful, and I particularly liked the addition of pickled vegetables, which, with the fresh coriander, lifted this to a whole other level. I will definitely be back! My friend and I had a craving for pho, so on a Monday night after work we headed up to Dickson to indulge our craving. 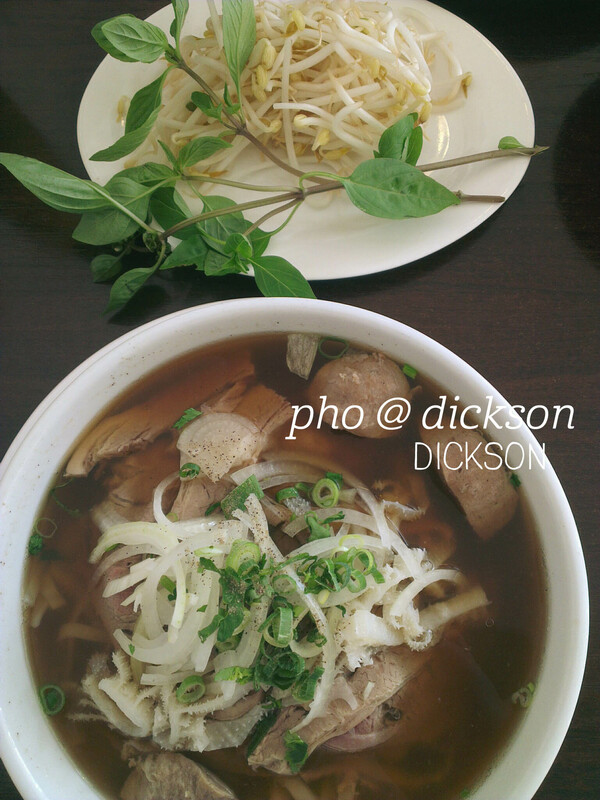 Pho @ Dickson is unassumingly located on Woolley Street – if I hadn’t know it was there, I might have missed it. The restaurant was quiet on a Monday night and we received excellent service. I ordered the ‘bells and all’ beef pho ($14.50), which included rare beef, beef balls, beef tripe and cooked beef brisket (so, basically, all the beef). The bowl was huge, and this was my first time trying beef tripe – I didn’t mind the flavour actually, although the rare beef is always my favourite part of eating pho. 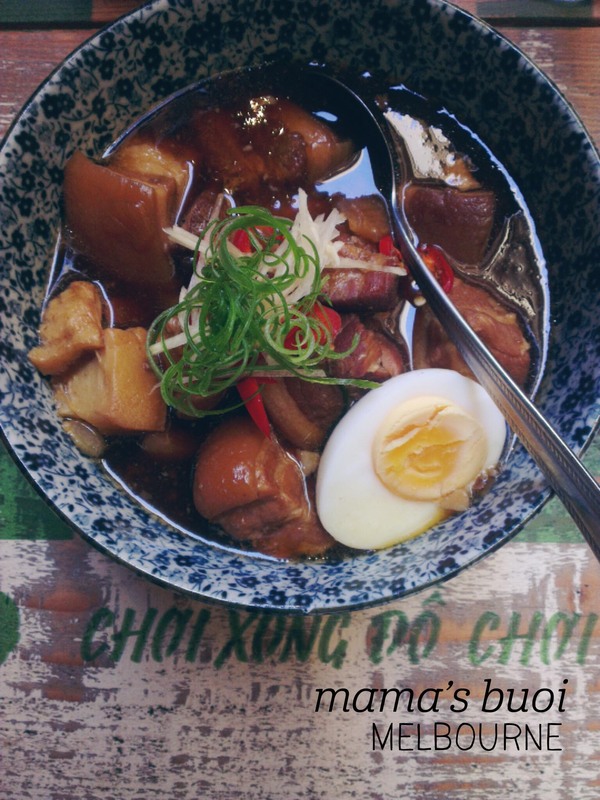 The broth was suitably beefy and I could tell that this wasn’t going to be a need-to-down-a-litre-of-water type pho – it wasn’t outrageously salty and that left plenty of space to appreciate the broth’s flavour. The noodles varied in width, leading me to suspect that they make their own, and all of the usual accompaniments are offered (bean sprouts, Thai basil and lemon wedges, plus the sauces). At the end of our meal a sliced orange was brought out as a palate cleanser. I was impressed, definitely worth a visit. I’ve only stopped in at Saigon Foodies once before, and was so impressed with their banh mi that I decided to head back and try out their pho. It’s a small store with no frills but a real sense of welcome. They clearly have their regulars, and I can see why! I ordered the beef pho ($12) to dine in, and took a seat by the window to watch the world go by. Before long, my pho additions were brought out (bean sprouts, lemon, basil and hoisin sauce) and then, voila, the steaming hot bowl of pho. 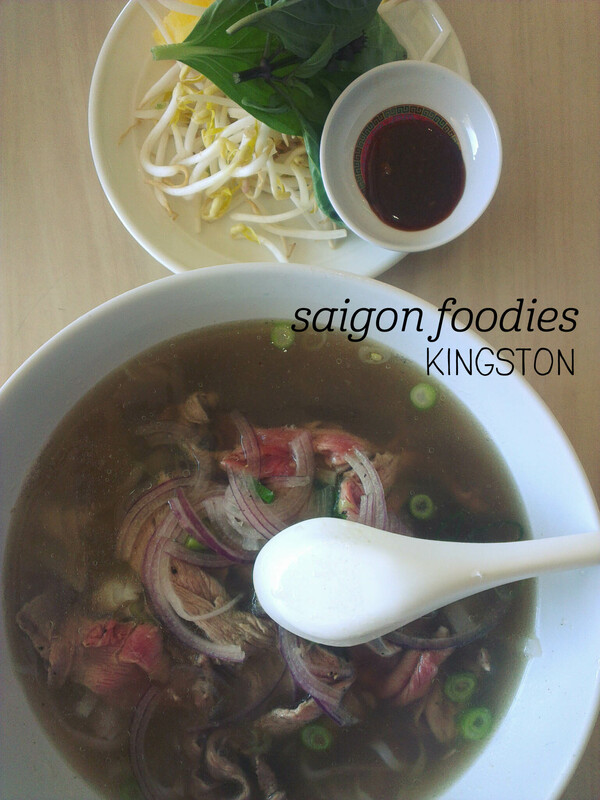 Having never been to Vietnam, I can’t say how authentic it was, but compared to other pho I’ve had in Canberra, I found the broth really light and simple – I would have preferred a bit more flavour. The amount of beef was very generous and combined with the hoisin, that’s where the real taste was hiding. The noodles appeared handmade, although I didn’t get to ask them to confirm, as they were all different thicknesses, and were beautifully silky. 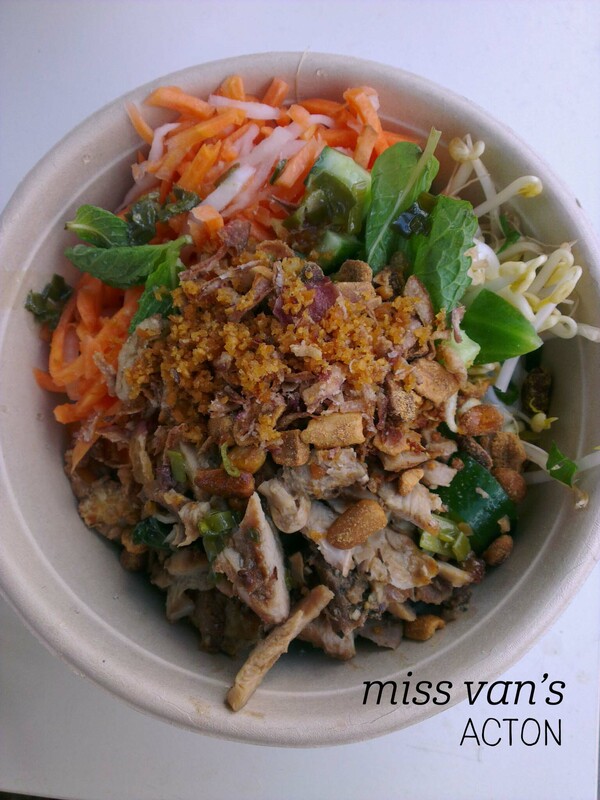 The bowl was more than enough for lunch – I think their banh mi is still my favourite though.